In an effort to better serve high school scholar athletes in the Richmond metro area, Sports Backers has created two scholarships geared towards students that demonstrate financial need. These scholarships are in addition to the existing 20 annual scholarships offered through the Richmond Times-Dispatch/Sports Backers Scholar-Athlete Awards Program, now celebrating its 28th year. These two new scholarships will be awarded in the amount of $2,500 each. Candidates under consideration for these awards will be high school senior athletes that have achieved a minimum GPA of 2.5 and are in need of financial assistance to pursue a college education. The Cheryl Lockett Oliver Memorial Scholarship will be awarded to one college-bound senior girl. Cheryl worked relentlessly to expand Sports Backers’ reach into underserved communities. 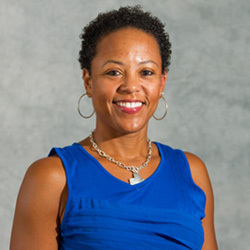 Well known for her involvement in the Black Girls Run and Richmond running communities, Cheryl’s work at Sports Backers focused on bringing physical activity opportunities to Richmond’s most vulnerable youth. We lost Cheryl in the spring of 2014 and wish to honor her life by providing an opportunity to Richmond’s next generation of female leaders. The Raymond Delaware Patterson Memorial Scholarship will be awarded to one college-bound senior boy. 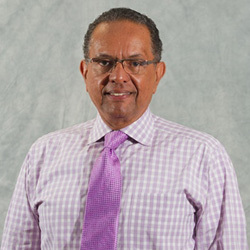 Ray’s leadership role at Sports Backers during his ten years with the organization resulted in deep connections within the community and enabled Sports Backers to expand its mission to include all corners of the Richmond region. Ray was well known for his heart for the community and his ability to see the promise in Richmond’s most challenged youth. We lost Ray in the summer of 2016 and hope to build a legacy in his honor through this new annual scholarship. The online application is now open and will close on April 15, 2019. Applicants must provide a copy of their Student Aid Report (SAR), which is received after submission of the FAFSA form. Winners will be notified by May 15 and formally recognized at the annual Richmond Times-Dispatch/Sports Backers Scholar-Athlete Awards Dinner, taking place on June 3, 2019. The deadline to submit applications for 2019 has now passed.